Last night we had a snow storm complete with thunder and lighting. I slept through most of it and woke up to the white again. I am not mad about the snow being back actually. I like the clean blanket that hides the ugly muddy mess underneath. 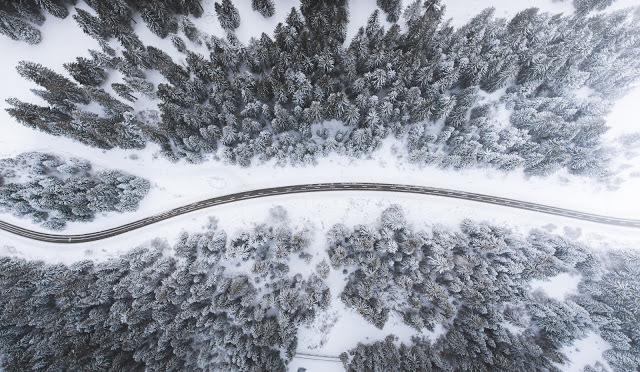 I also love when the snow is here because I don’t feel guilty about settling into my home with my children and my books. Summers fill me with guilt because I know I should be outside enjoying the fine weather, but sometimes I would rather be inside reading. I had a friend tell me this week that my home seems to be easy to live in; she is right. It is very easy for me to live in my home. There are never-ending projects I want to do to improve my home, but I am comfortable and happy in my home regardless. ~Your home is functional…you can cook, get clean, store, gather, entertain and learn in your spaces. ~You have people and things around you that bring happy and meaningful memories. ~You have come up with a system that helps you to keep your space organized and clean. No one wants to hang out in a home that constantly reminds them of the things that that have not done or keeps them from being able to concentrate. 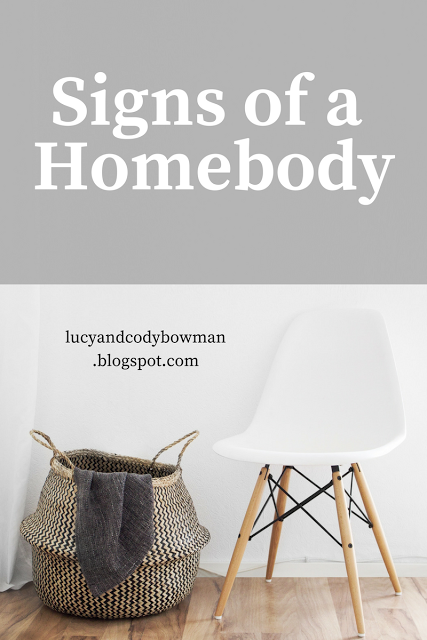 Here are some signs of a homebody. 1. When you think about going outside, you pictures large disgusting bugs, getting sweaty and dirty. I saw a super funny meme the other day. It said after being on a hike, you are thinking, “Everything hurts and I am dying!” LOL! 2. Having food delivered to your home is worth the extra money. 3. You love to be in your bed to read and write. 4. You have a spot on your couch that is “your spot” because you sit there so often. 5. Large parties give you anxiety. 6. Weekends are for doing NOTHING. 7. Sometimes you just don’t want to go out and there is no good reason expect you would rather be home. You take a lot of rain checks. 8. Too many dates are movie nights. 9. You buy clothes only when you have committed to going to an event. Online shopping is the best! 10. You don’t mind missing out on things if it means you don’t have to shower, get ready and brave the elements. Which of these do you relate to the most or do you think homebody’s are crazy? Here are the books I have been reading this week. I know I should stop reading so many at a time, but it is too fun! How pretty is winter? I will miss it when it leaves this year.